Mix all ingredients except ketchup. Spread mixture in ungreased loaf pan, 8 1/2x4 1/2x2 1/2 or 9x5x3 inches, or shape into 9x5-inch loaf in ungreased rectangular pan, 13x9x2 inches. Spread ketchup over top. Insert meat thermometer so tip is in center of loaf. Bake uncovered 1 hour to 1 hour 15 minutes or until thermometer reads 180°F. If you're a salsa lover, try the thick and chunky variety as a topping instead of the ketchup. 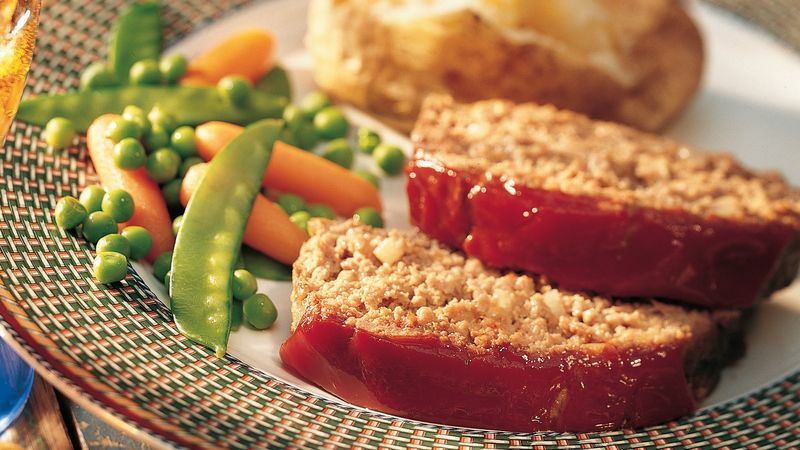 Make the famous Meatloaf Sandwich with leftovers. Simply layer a thick slice of meatloaf between two slices of white bread. Delicious cold, but you can also top with gravy and serve warm.